This 4-panel wallet and disc design are reflective of the scientific and intergalactic contemporary classical music that it contains. A multilayered effect of a paint texture evokes the depth of space and the random location of stars. The musicians wanted to push the title typography as far as possible toward being lost in the background texture, so that's what we did. 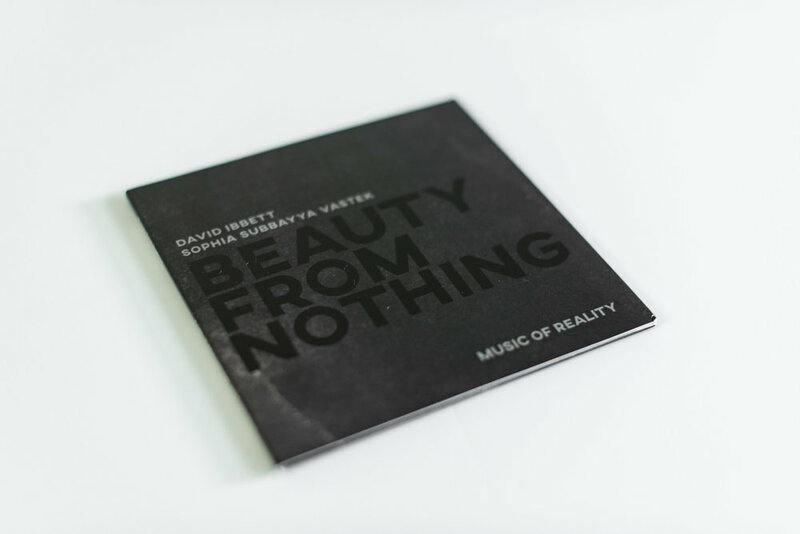 Beauty from Nothing, an EP, is the first album to come out of the multi-faceted collaboration between pianist Sophia Subbayya Vastek and composer David Ibbett. 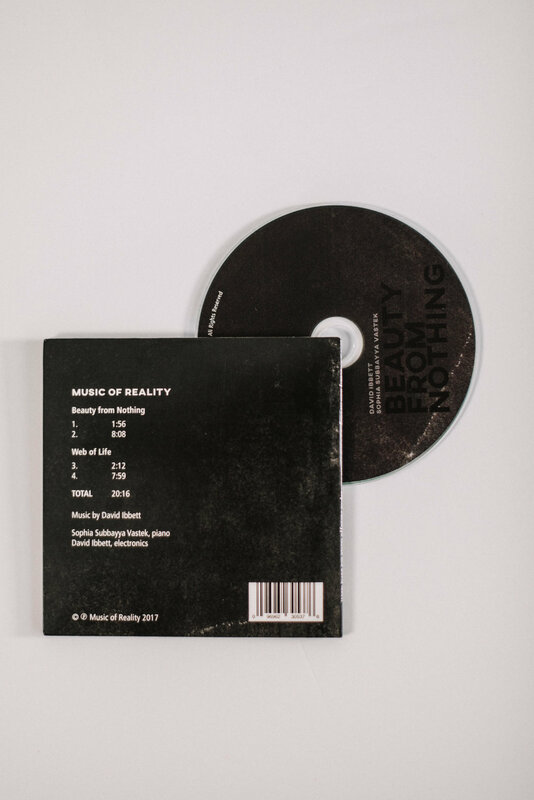 In two movements, the work begins with the question of beauty, folding into their scientifically-minded event series Music of Reality, the album explores the human, emotional response to learning about our origins and interconnectedness to all life through the lens of science. Learn more at Music of Reality's website.